This little guy is from Prairie Fairy and is colored with Copics. DP is SU! (ancient). 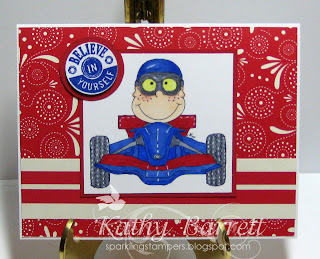 Sentiment is from CTTH, stamped with Versafine Majestic Blue. Need to hit the sack. I'll be back tomorrow!